On my way to a car show last week and without warning my windscreen wipers actuated, fortunately this stopped after a minute or so, the switch having no effect. At the show I looked at the fuse board to see if anything had blown, it had not. I checked the other electrics and I had no main beam, everything else was OK. When I got home I had a look at the wiring loom to see if anything was loose or exposed and typically disturbing the wiring 'fixed' the problem. 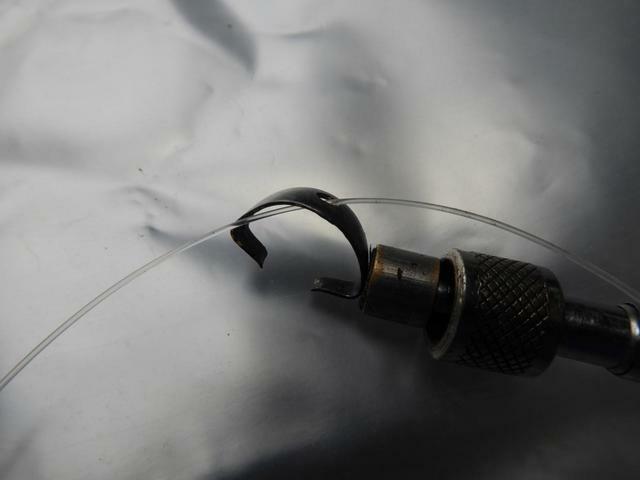 I am unhappy with the wiring which comes out of the windscreen wiper motor as it seems brittle and in poor condition. Is it a doable job to remove the motor and replace the external wiring? I know this is unlikely to have caused the wipers actuating or the main beam problem, both of which I will investigate further. Hi John. 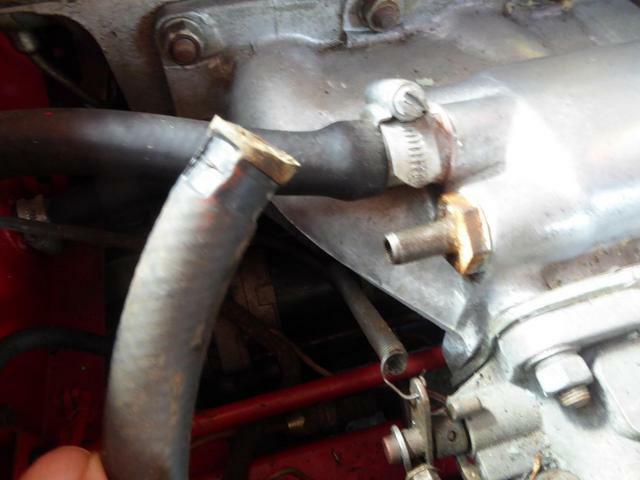 I have not done it myself but it is almost surely doable as there is a small wiring harness available for sale. I see it periodically on ebay plus have seen it listed in the catalogue of one of the common vendors. Can’t remember which one. Geoff. Yes....the seven wire loom is available on eBay from the US I think. Relatively easy to fit ....I did mine. I have done it a number of times & its no problem to take the motor apart to rewire it. 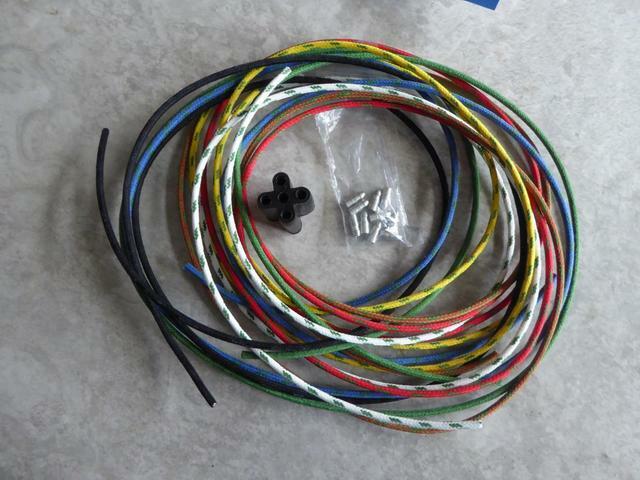 Its best to use/buy just the wire in the colours required rather than buying a loom . Thanks for the advice, I am now progressing with the removal of the motor. 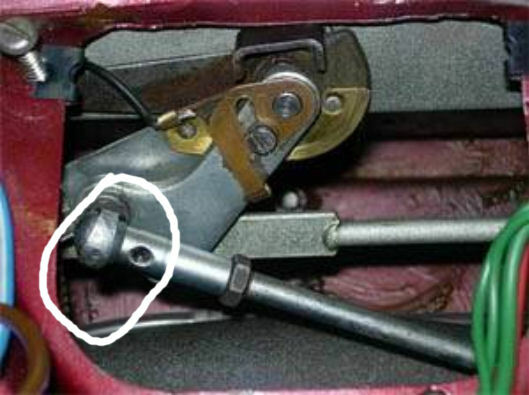 The Workshop manual states 'disconnect the ball joint' in the pic below, is this a push on fit? Do I just pull the arm towards me? Advise please as my gynaecological skills are somewhat limited. Unclip the two ends of the spring clip that holds the ball in the socket. Use a small screwdriver to pop them open....or a small find pair of pliers. The connection will just lift free. Be extremely careful not to drop the clip. It’s easily lost ! 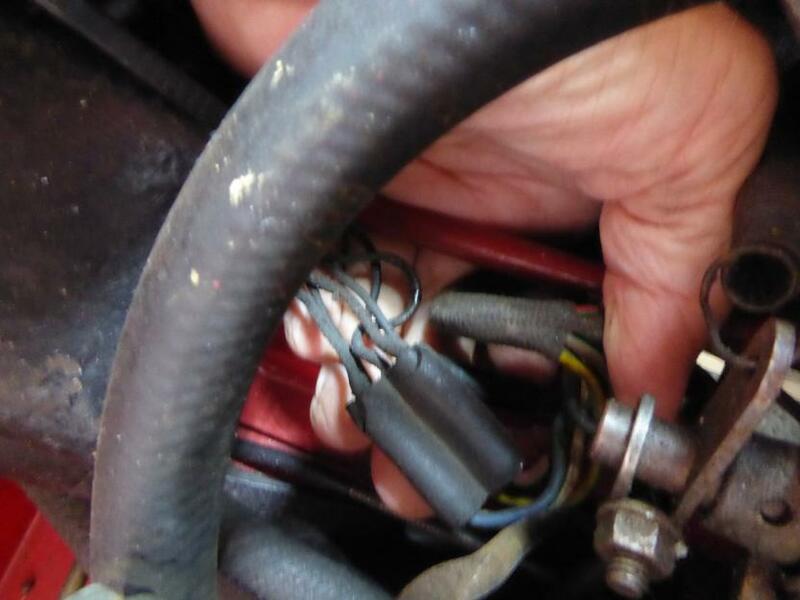 Just to conclude this item, I found that I could not remove the wiper motor without first disconnecting one of the water hoses to the cylinder head. This only took a few minutes to drain a few litres and disconnect the hose and made it easier to remove and refit the motor. 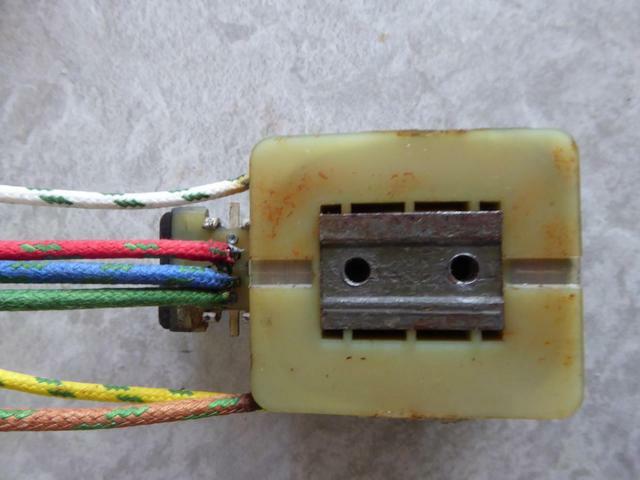 I purchased some sheathed wiring, wiring bullets and 5 way bullet connector from Autospark, total cost including P & P £17.02 The cable I ordered, 8.75 amp, was a little thicker than the original which meant the rubber gromit, which was perished anyway, could not be refitted. The 5.75 amp is the size I should have ordered and being cheaper would reduce the figure above. You can only purchase the wire in a minimum of I metre lengths. Replacing the linkage was something to test the skill, resolve, patience, endurance, courage etc and my garage was not a place for women and children or those of a nervous disposition, unfortunately I could not find anything on the forum to talk me through this operation. Fitting the clip from the dashboard side seems impossible and if I had not got the clip secured with fishing line would have lost it in the abyss below the dashboard many times. What worked for me was to connect the clip, still attached to the fishing line, before installation and either by luck or divine intervention managed to secure it to the ball. Job done and not one I want to revisit any time soon. Just a think, the hose you disconnect is a air hose for the reservac tank and the brake assistance. For your clip, didn't you loose their two "ears" ? Thank you for your tactful reply, what a fool I am, worryingly I renewed most of the vac stuff about 5 years ago, so there is no excuse, the car is not the only thing deteriorating with age, still look on the positives, I gave the drain tap a 6 monthly check and made sure the coolant level was correct. Regarding the 'ears' I did not notice these when I unclipped the clip, are they an aid to getting the clip on or form part of the clip itself to secure the ball joint? As the windscreen wipers are working I will leave things as they are until someone can show me an easy way to do the job. I am a great admirer of the old time Jaguar designers and engineers but whatever possessed them to make such a complicated securing device and then to put it into the most inaccessible place? Sure at their time they had smaller hands than ours ! Complicate - and not only for securing - contributed of the charme of the old jaguar, no ? With an E Type you have to do the mechanics with your head before your hands. For the clip, it's quite simple to climb when you have those "ears". I consil you to buy a new one to Richard Smith. General / New reproduction parts for EType's.